Unveiling Whisky & Alement's very own bottling of Sullivans Cove Double Cask! At Whisky & Alement, we love to collaborate with our whisky-making heroes, even better when we get to highlight the importance of blending – an unsung aspect of the whisky trade. 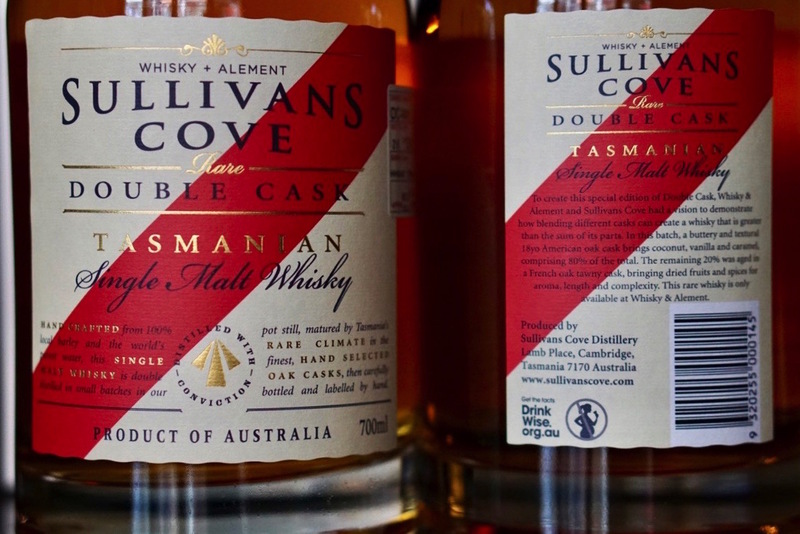 So when owner Julian (Jules) White approached Tasmania's award-winning Sullivans Cove Distillery to create a Double Cask expression for the bar, he was wrapped when they agreed. Jules then spent a day with the Sullivans Cove team sampling and blending (awful job that), and settled on a marriage of casks to create the first distillery endorsed collaborative bottling. To celebrate, we're launching the W&A Double Cask during Tasmanian Whisky Week, and we're lucky to be joined by Heather Tillott, production manager at Sullivans Cove, whose palate and incredible technical knowledge were instrumental to the creation of this whisky. Jules and Heather will present a tasting of some rare and old Sullivans Cove single casks, and show how the complex and often overlooked art of blending can create whiskies that are greater than the sum of their parts. They'll round off proceedings with a taste of the new bottling which will be available to purchase on the night. We can't wait to give you a taste, and we hope you can join us for this unique Australian whisky experience. * Depending on demand, we may release a second tasting for this event, so jump on the waiting list if you'd like to be among the first try this special bottling.